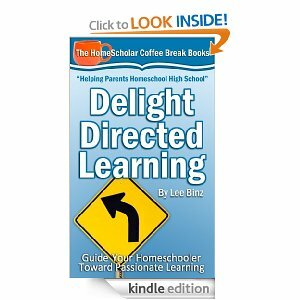 Lee Binz is offering Delight Directed Learning, one of her Coffee Break Kindle ebooks, for free today, in exchange for your review on Amazon. It’s a short book, very fun, and it will encourage you to LOVE homeschooling and instill the love of learning in your child. When you are done with the book, please rate your experience. Enjoy! I’m sure you’ll be inspired by it. Disclosure: As usual, I am in no way compensated for telling you about this freebie.